The Destiny 2 beta is imminent on console and just over a month away on PC. If you’re keen to get involved, you can now use a Blizzard account to get a Bungie.net profile and join the community. If you already have a Bungie.net profile – hey, you’re allowed to have a console life too – take great care when adding your Blizzard account to it: many are reporting the effective loss of their Bungie accounts in the process. Here’s why, and how to link your accounts safely. 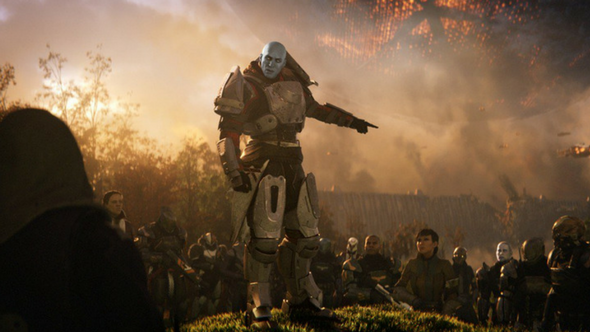 Get ready: here’s everything we know about Destiny 2. This public service announcement was inspired by Aerogizz’s tale of woe on Reddit. While logged in to Bungie.net to check if his code for the Destiny 2 beta was ready (it wasn’t), he noticed the option to link his Blizzard account in the top-right corner of the screen. This didn’t show up for me; it might’ve been removed because of this issue, but we’re warning you just in case. In the process, he pulled his gamertag from his old Bungie account, orphaning it and rendering it permanently inaccessible, as described in these FAQs. That’s eight years of Halo and Destiny gaming down the drain, along with all his Destiny codes. An alarming number of others have responded to his Reddit thread saying the same thing happened to them. If you want to link your accounts, check the ‘Accounts & Linking’ tab in the ‘Settings’ page of your Bungie.net profile. The option to link a Blizzard account should be there; you’ll go through a quick password and authenticator check, and all should be well (I’ve just done this myself and nothing’s blown up). If you’ve never played a Bungie game before but know you’ll be playing Destiny 2, you can join the community now by signing up for a Bungie account and linking it to your Blizzard account. You’ll want to do this eventually, since code redemption (including beta access codes) and the clan system all go through Bungie.net.